Livermore, Calif./Capelle a/d Ijssel, the Netherlands — Topcon Positioning Group announced a new web-based service for integration with the MAGNET Collage desktop mass data processing software — MAGNET Collage Web. 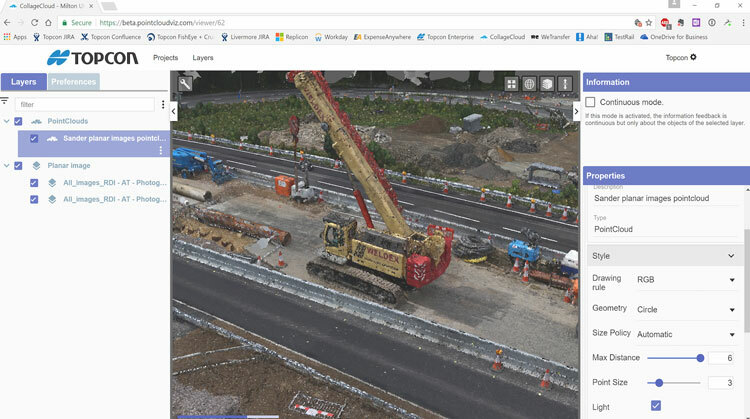 The web-based service is designed to simplify collaboration and sharing of 3D point cloud data. For more information, visit https://www.topconpositioning.com.